What is the best way to combine a love for water, wildlife, and adventure? Diving, of course! Around the world, scuba diving and snorkeling are popular activities for travelers, and in Costa Rica, this is no exception. With pristine water and a diverse collection of reefs accessible from both of the country’s coasts, Costa Rica diving offers awe-inspiring adventures into the aquatic world. 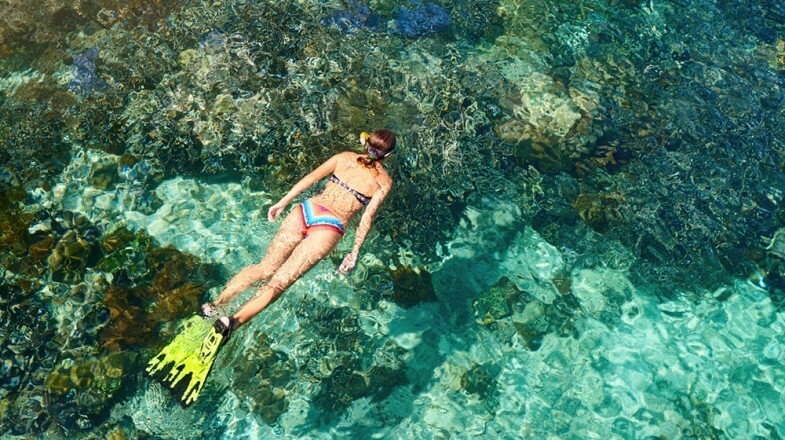 Be sure to check out these tours offering snorkeling in Costa Rica. On the Caribbean side of Costa Rica, divers can enjoy clearer waters and spot marine wildlife like this sea turtle. On the Caribbean side of Costa Rica, scuba divers can enjoy clear water and vibrant colors. Diving here makes for a fun day as you navigate your way through the coral reef, observing tropical fish, sea turtles, and sea fans. 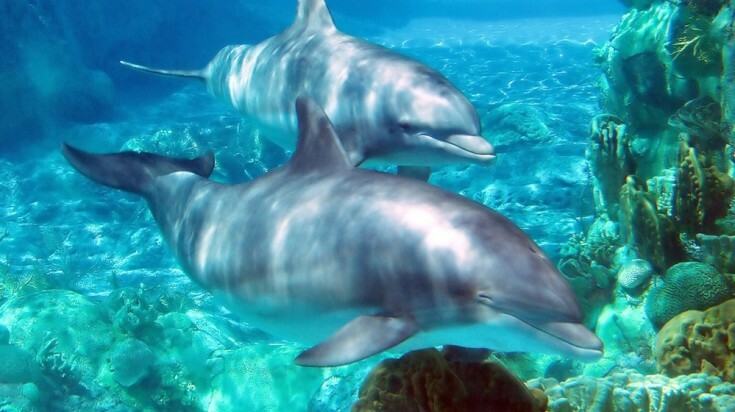 Dolphins and manatees visit frequently too! Gandoca Manzanillo Wildlife Refuge is also considered one of the best spots for snorkeling in Costa Rica on the Caribbean coast. Consider night diving here for a different perspective and look into the changing scene of the coral reef ecosystem. Night trips offer an incredible opportunity to witness the glowing phenomenon of bioluminescence. Diving in search of marine life is one thing, but diving into human history can be exhilarating too. 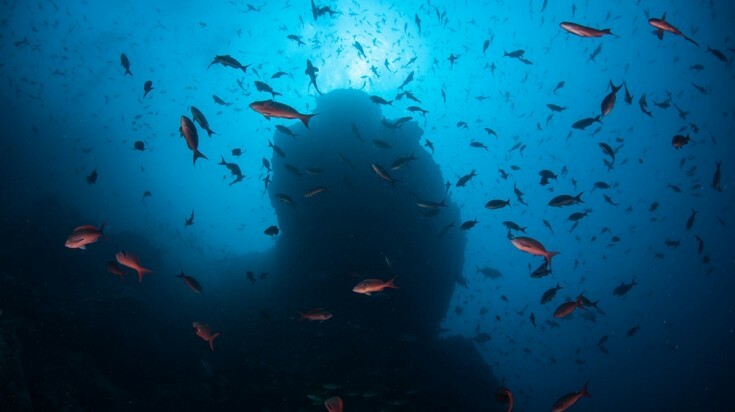 With three large shipwrecks in the Malpais area, you’ll have an epic adventure. 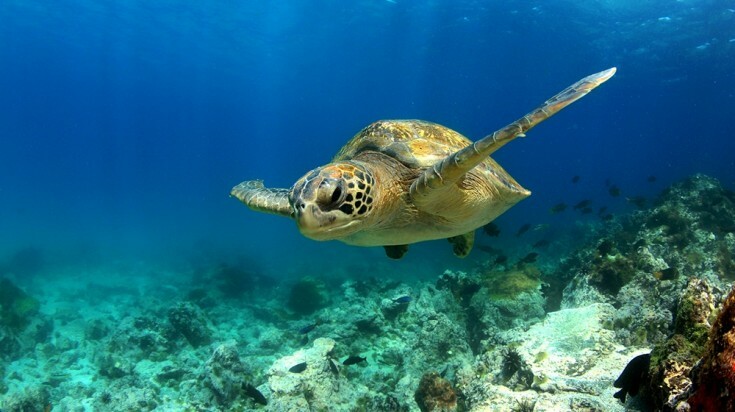 With the nearby protected reserves, you should also encounter an excellent variety of sea life, including sea turtles, octopus, sharks, dolphins, whales, sea horses, and schools of fish. Watersport enthusiasts should also try out surfing in Malpais. It’s a great place to take lessons or find a thrill ride if you’re ready for more daring waves. Cocos island is a great spot to swim around corals, caves, volcanic tunnels and schools of fish. A UNESCO World Heritage Site, Cocos Island is a world-famous diving destination that without a doubt offers the best diving in Costa Rica. Diving here is an exclusive experience as the island is highly remote and requires a private charter. But you’ll be handsomely rewarded with exhilarating dives alongside some of the world’s largest schools of hammerhead sharks. Rays, dolphins, whales, whale sharks, orcas, sea lions, sea turtles and countless other fish are also local inhabitants. Cocos Island sports over 30 species of coral in addition to caves, volcanic tunnels, and clear turquoise water. You’ll need to find a live aboard boat tour as the trip from Puntarenas takes 32–36 hours. Visitors are not permitted to stay overnight on the island. Historically, Cocos Island was infamous for piracy and many believe treasure may be hidden there. You may recognize Cocos Island from the intro scenes of Jurassic Park. It is speculated that the fictional island, Isla Nubar, was based off this beautiful island and its rich topography. For a thrilling dive experience, Caño Island is one of the best places to dive in Costa Rica, second only to Cocos Island. The remarkably clear water in this protected national park teems with wildlife including rays, sharks, dolphins, whales, turtles, octopi, eels and over 100 species of fish. At times, the fish gather in such great number that they create a cloud, often blocking the sunlight above. Otherwise, visibility ranges from 50 to 100 feet. Many species of coral also exist, some endemic to the area. Cliffs, channels, caves, and shallow reef are all a part of the diverse aquatic landscape here. For your best chance at spotting whales, visit between July and October, or in December during migration time. Caño Island rests less than 17 kilometers off the coast of Corcovado National Park, another gem touted as one of the most biodiverse places on the planet. 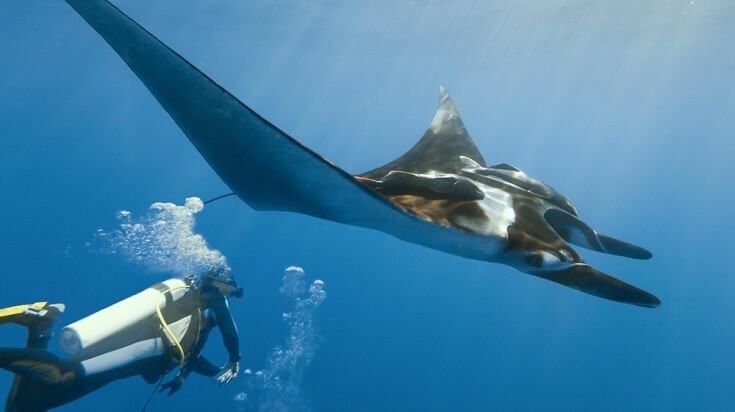 Because of their sheer size, giant manta rays are a sight to behold. Known for its giant manta rays, the Catalina Islands are a spot you don’t want to miss if you plan on scuba diving in Costa Rica. Other marine life includes turtles, eels, sharks, massive schools of tropical fish, and potentially whales, orcas and dolphins. Due to a stronger current here, it is most suitable for advanced divers. Birdwatching boat tours are also a popular way to explore the islands. Divers seeking an action-packed experience of the best diving in Costa Rica frequently combine this destination with Bat Islands for a “Bat + Cat” dive trip. Looking for an adrenaline rush? Advanced divers will excite at the wonders found at the Bat Islands. Intimate encounters with huge bull sharks are the main draw here and will leave your heart thumping without a doubt. Protected within Santa Rosa National Park, dolphins, turtles, rays, and whales are likely waiting for you too. Learn the fascinating local history. The old hacienda in the national park is now turned into a museum commemorating the battle of Santa Rosa which heavily influenced Costa Rica’s peaceful military position. Nearby Playa Nancite is a major nesting ground for Pacific Ridley sea turtles, which sometimes arrive in thousands in a single night in late summer. 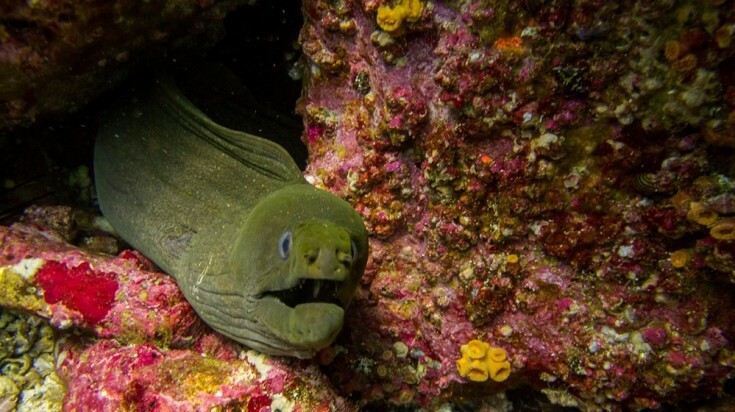 You can find moray eels hiding between rocks while diving in Islas Tortuga. Boasting several dive sites in the area, Nicoya Peninsula is a solid choice for a scuba diving trip. With calm water, Islas Tortuga is a great site for beginners seeking guided dives. Marine life is abundant with common sightings including sharks, rays, puffer fish, and eels. 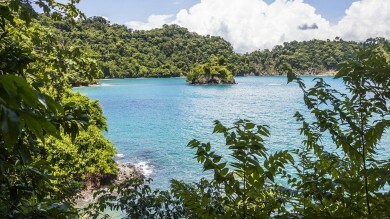 You could snorkel in Costa Rica too, as this is the top site for snorkeling on the Pacific coast. Other great activities on the island include hiking, canopy and biplane tours, kayaking, and beach volleyball. Top off the day by sipping on the island’s specialty rum concoction, coco loco, rightly served in a coconut shell. 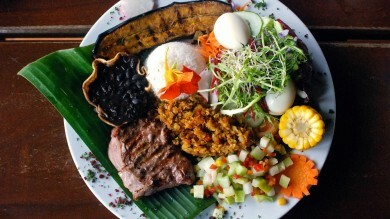 Costa Rica is definitely one of the most intriguing places on the planet to experience both land and sea adventures. The oceans are captivating and Costa Rica diving is a definite-to-do for an unbeatable time. Visit these awesome destinations and dive into planning your next trip now!